The General Election produced a stunning Conservative victory, defying the polls. London stood out as the most prominent Labour bulwark, and many in the Westminster village remarked that minority voters played a key part in Miliband’s success in the capital. Trevor Phillips and Richard Webber, in their insightful analysis of London’s politics, point out that two-thirds of minority Londoners voted Labour while two-thirds of White British Londoners opted for UKIP or the Tories in the European elections, foreshadowing a Britain in which ethnicity eclipses class as the master cleavage. In the wake of his victory in May, Cameron stuck to his promise of a European referendum, hinting at a ‘deal’ from the EU which will convince British voters to remain in Europe. Andrew Geddes’ piece is sceptical that he will succeed, nicely dispelling the notion that far-reaching change is possible within the EU. Should Cameron fail to get a deal, the beneficiary will be Nigel Farage, who, despite recent ructions within UKIP, promises to play a large role in the Brexit campaign. 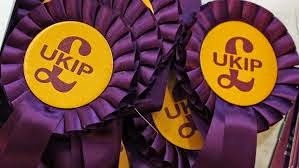 Speaking of UKIP, Robert Ford and Matthew Goodwin’s article predicted they would attain over 10 percent of the vote and they were correct – their essay explains why UKIP’s base is so resilient and why its appeal is unlikely to fade any time soon.